If you are suffering from foot pain, back pain, knee pain or leg pain and are considering individually designed Stabilizing Orthotics, we will perform a foot scan on our digital State-of-the-art scanner. 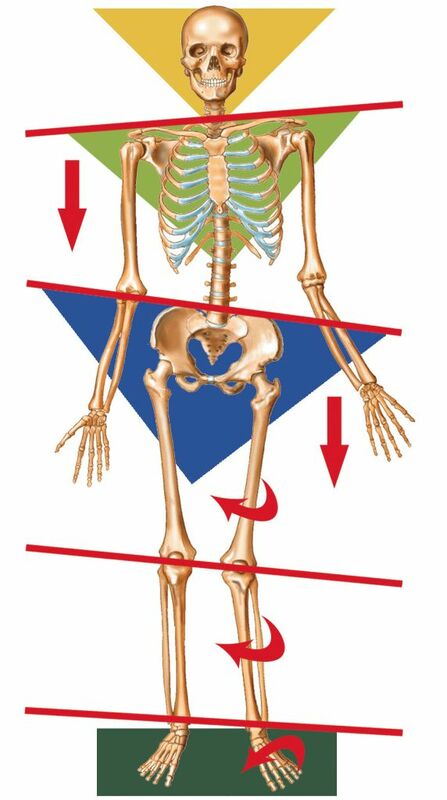 This will show you how imbalances in the feet can lead to problems in the knees, hips, back, and shoulders. Individually designed for your unique postural problems. Completely customized! 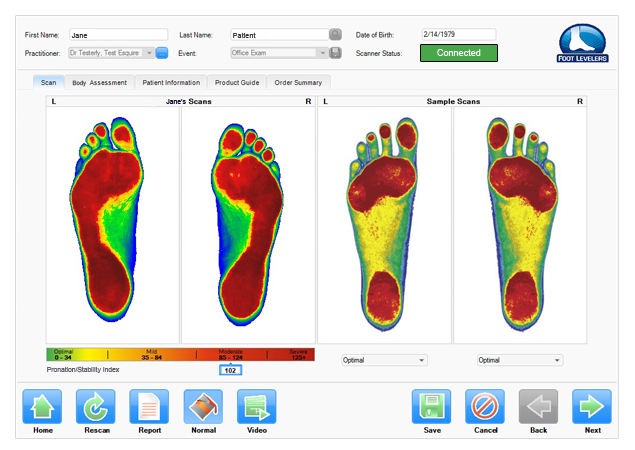 Scan detects foot abnormalities that lead to dysfunctions in the gait cycles. 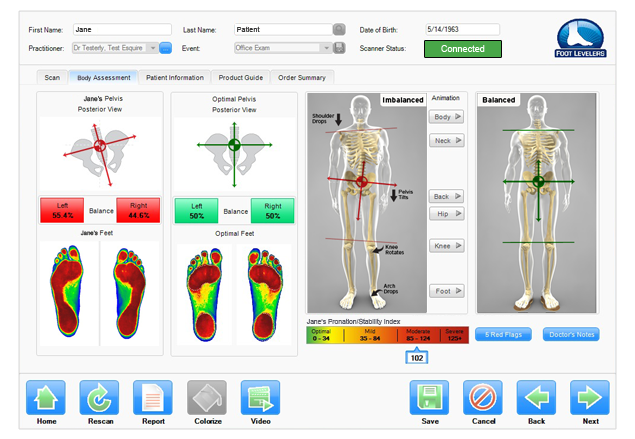 Detects foot imbalances that causes postural imbalances that can lead to body pain and dysfunction. Our orthotics support all three arches of the foot. Most other brands of orthotics only support one arch. When only one arch is being supported, the problem shifts to another part of your body. Call 703-293-2939 now to schedule your FREE 15 minute chiropractic consultation to see how Dr. Taschler can help you.